Scientists found out that red wine contains a fat-burning antioxidant which can be found in grapes, berries and other fruits. Published in the International Journal of Obesity, the researchers conducted a study on resveratrol, a type of polyphenol that converts excessive white fat into beige or brown fat. This fat-burning process can help people in losing weight and prevent obesity. "Polyphenols in fruit, including resveratrol, increase gene expression that enhances the oxidation of dietary fats so the body won't be overloaded," leader of the study, Professor Min Du told Huffington Post. "They convert white fat into beige fat which burns lipids (fats) off as heat - helping to keep the body in balance and prevent obesity and metabolic dysfunction." 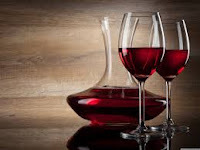 The researchers from Washington State University investigated the effects of resveratrol on mice, by feeding the rodents 12 ounces of the material. This amount equates to two or three servings of fruit to humans in a day. Researchers found out that the mice gained weight for about 40% less than rodents that were not fed with resveratrol. 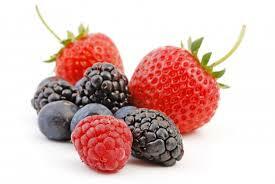 "In reality, it's the total polyphenolic content that is more important. We think you can increase your total intake of polyphenol compounds by directly increasing fruit consumption," Professor Du added. This polyphenol compound is found in fruits such as grapes, strawberries, blueberries, raspberries, blackberries and apples. "Many of the beneficial polyphenols are insoluble and get filtered out during the wine production process," Professor Du stated. Although just a portion of resveratrol is found in grapes, Professor Du noted that wine brands like Shiraz, Merlot and Cabernet Sauvignon include the fat-burning compound in the each of their product offerings. The study suggests that in order to obtain the full benefits of this fat-burning compound, people should eat fresh fruits like apples, grapes, and berries every day, in addition to few glasses of red wine.